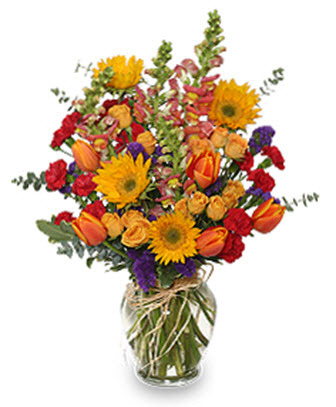 Send best wishes to your friend or co-worker in FORT WORTH with this uplifting floral arrangement! Ginger Vase, Foliage: Variegated Pittosporum, Eucalyptus, Bicolored Orange & Yellow Tulips, Peach Snapdragons (Talisman), Goldenyellow Miniature Spray Roses, Small Sunflowers, Red Mini Carnations, Purple Statice, Raffia. Balloon Bouquet Mylar, Balloons, Ballon Balloon Balloons Baloon Bouquet Bouquets Graduation Mylar Theme. 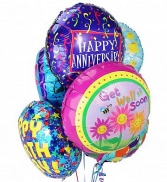 Make any day brighter for your special someone in Fort Worth with a custom balloon bouquet! 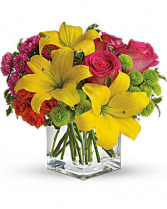 Hot Pink And Orange Roses Are Mixed With Yellow Asiatic Lilies, Hot Pink Matsumoto Asters And Lime Green Button Spray Chrysanthemums In A Clear Glass Cube Vase, Orientation: Allaround. Stargazer lilies and lovely flowers all wrapped up into one pretty Simply Lilies bouquet. A thoughtful choice for any special occasion in FORT WORTH. 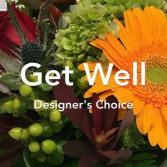 Custom Arrangement of Get Well Soon Flowers. Same-Day Flower Delivery in Fort Worth, Arlington, Benbrook, Burleson, Colleyville, Crowley, Grapevine, Hurst, Keller, Mansfield & Southlake, TX.